The Eternal Aiki of Kodo Horikawa Meijin. This contains the essence of the techniques of Daito Ryu Muden Juku. “There is nothing.” This is the essential transmission of Muden Juku. “It is nothing.” This is true Aiki. Technique consists of standing perfectly straight, or sitting upright, and, when one’s posture is correct, inhaling quietly, then exhaling. Using this technique when standing, Aiki exists upon touch. So what is “this” that is obscured? 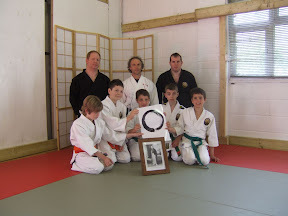 Whatever this is, it also lies at the heart of Daito Ryu Aikijujutsu. 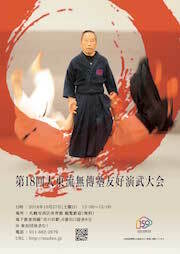 This year, 2010, marks the tenth anniversary of the founding of the Muden Juku. It also is the 150th anniversary of the birth of Sokaku Takeda, the Art’s reviver, along with being 100 years since the Art’s first public dissemination. Japan is seen as being positioned in the far east of the world. The island of Hokkaido is located in the east of Japan, and the city of Abashiri is located in the far east of Hokkaido. This city was the base of modern Daito Ryu, the source. In 1910, Sokaku went to Hokkaido, the northernmost island of Japan. He accompanied Takarabe Sanehide , who had been appointed chief of the Hokkaido police, from Akita in Northern Japan, in the role of a bodyguard. One day, in 1913, Sokaku arrived a the fishng village of Yubetsu. He took a room at an inn ran by Taiso Horikawa, Kodo Horikawa’as Father. Taiso was of Samurai lineage and was trained in Shibukawa Ryu jujutsu and recognised Sokaku’s level. 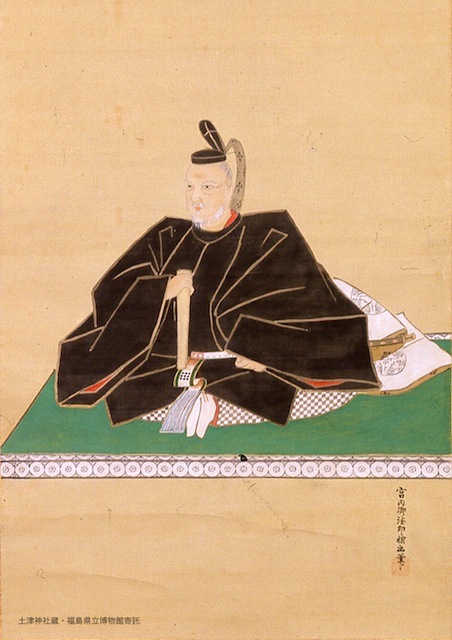 He beaceme Sokaku’s student and thus, Daito Ryu began to be disseminated in Hokkaido. 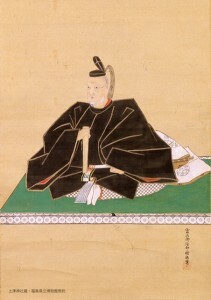 Sokaku was invited to Yubetsu to teach by Taiso and Daito Ryu was born in its modern incarnation. This fragile incarnation was nurtured by many “parents” who practiced the Art as it spread to many other places in the Area such as Engaru and Shirataki. Taiso became Sokaku’s student in 1913, in Yubetsu city. After this, for the rest of his life, Horikawa Meijin devoted himself learning and transmitting the true art and correct Aiki to his students who have carried his teachings on to today. Morihei Ueshiba started to learn the Art in 1915. 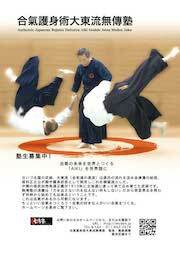 From this humble beginning, he developed the Art of Aikido which has spread across the world. Due to Sokaku’s unceasing effort,relentless travelling, frmidable skills and indomitable will, the foundation of modern Daito Ryu was firmly laid across Hokkaido, including Hakodate, Sapporo, Iwamizawa and Asahikawa. Along with this, Horikawa Meijin received the transmission of Sokaku’s “Eternal Aiki” over many years of practice and transmitted this principle to his own students.It is this principle that Hiroo Iida wishes to transmit to his students in Muden Juku. This principle has been transmitted dierectly from Sokaku to Horikawa to Iida, indiluted and authentic. Hokkaido may truly be referred to as “The birthplace of Aiki”. To pass on the pure Aiki that we receive undiluted. To follow its path without deviation. To develop it without compromise. The Muden Juku flag’s meaning. The name Daito Ryu (大東流) well suits the Art’s image as a Bujutsu (Martial Art) hailing from “The Land of the Rising Sun”. * The rising sun is represented as a red circle on the Japanese flag: the “Hinomaru”. The circle represents the eternal Universe. The red represents the energy that flows from the sun. When written in Japanese characters, the word “Daito” is made up of two characters. The first: “Dai”　大　means great. The second “Tou” 東　means “East” ie: The direction from where the sun rises.